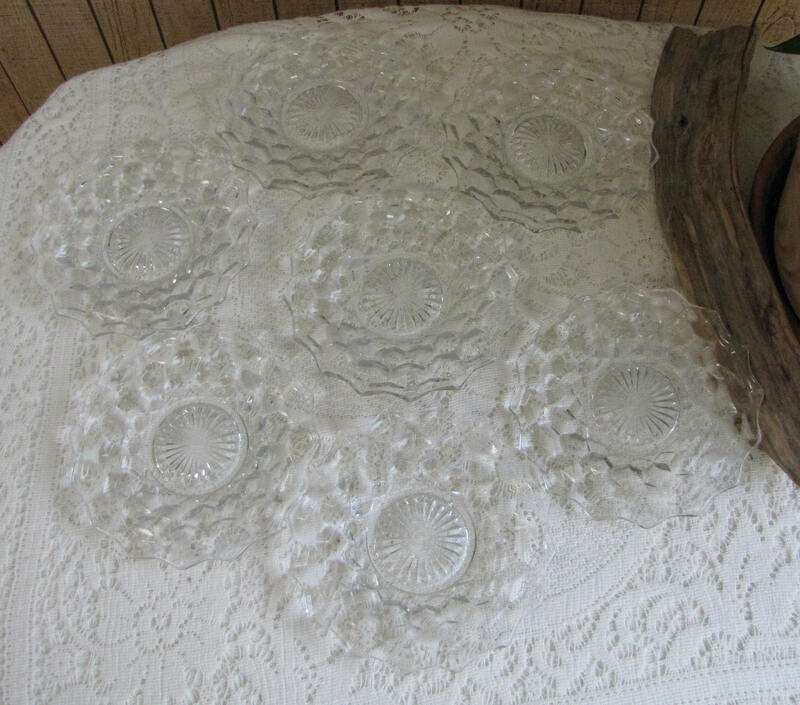 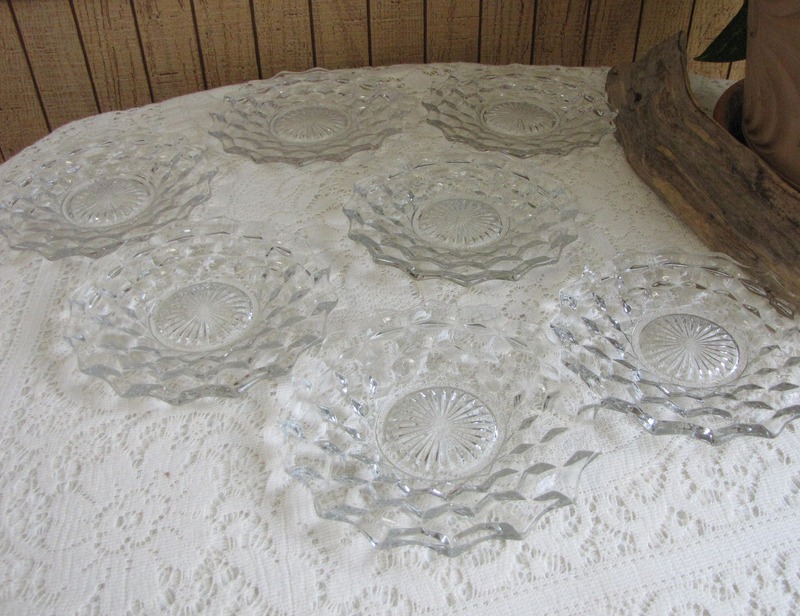 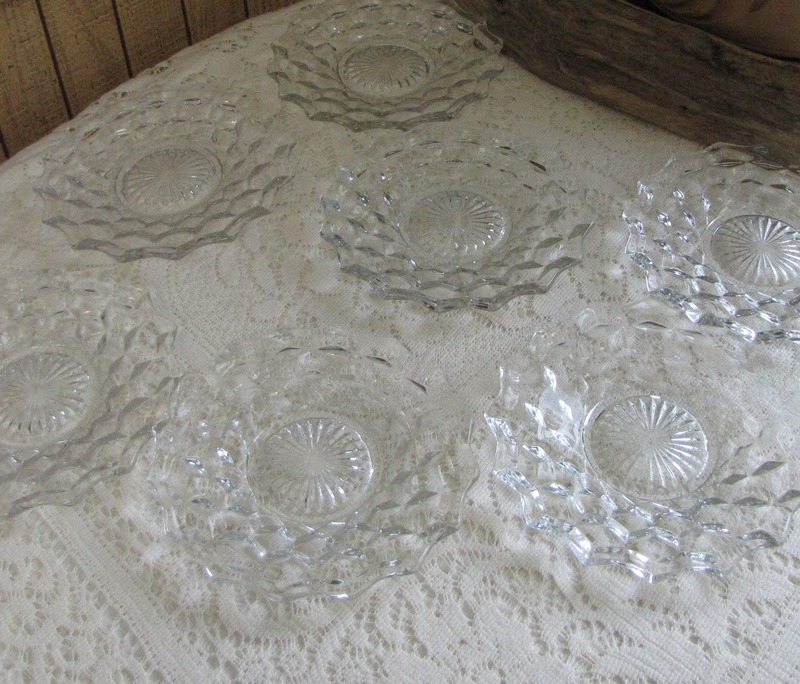 The listing is for 7 bread plates in Fostoria’s American pattern. 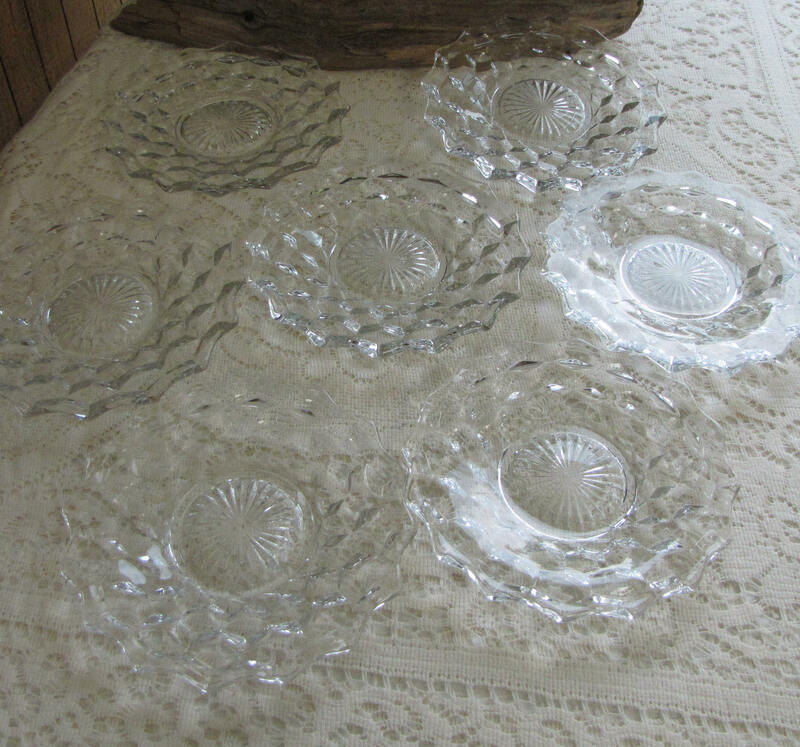 The plates are in very good vintage condition with no chips or cracks; the plates do have some utensil marks. 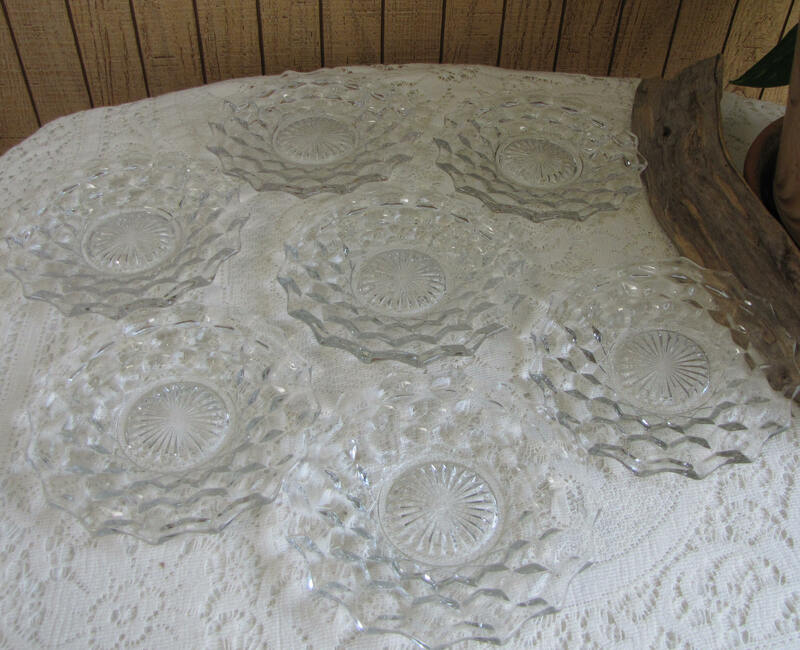 The bread and butter plates measure 6 inches in diameter. 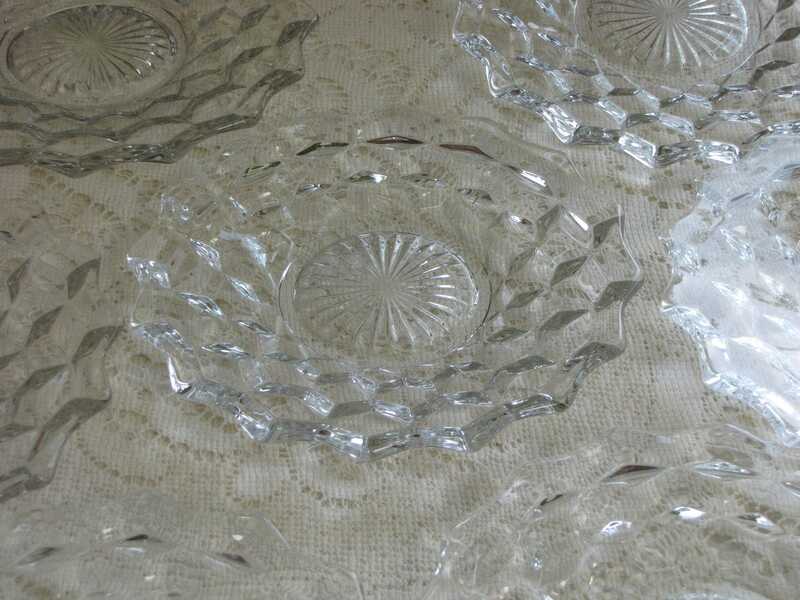 IF you are interested in additional selections of Fostoria’s American dinnerware, please message me for a discount. 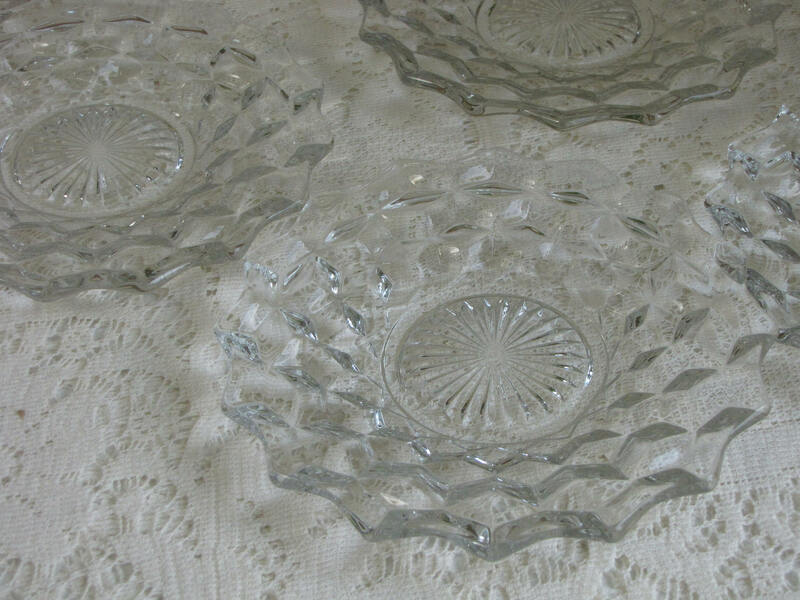 Fostoria Glass Company manufactured pressed, blown, and hand-molded glassware and tableware for almost 100 years. 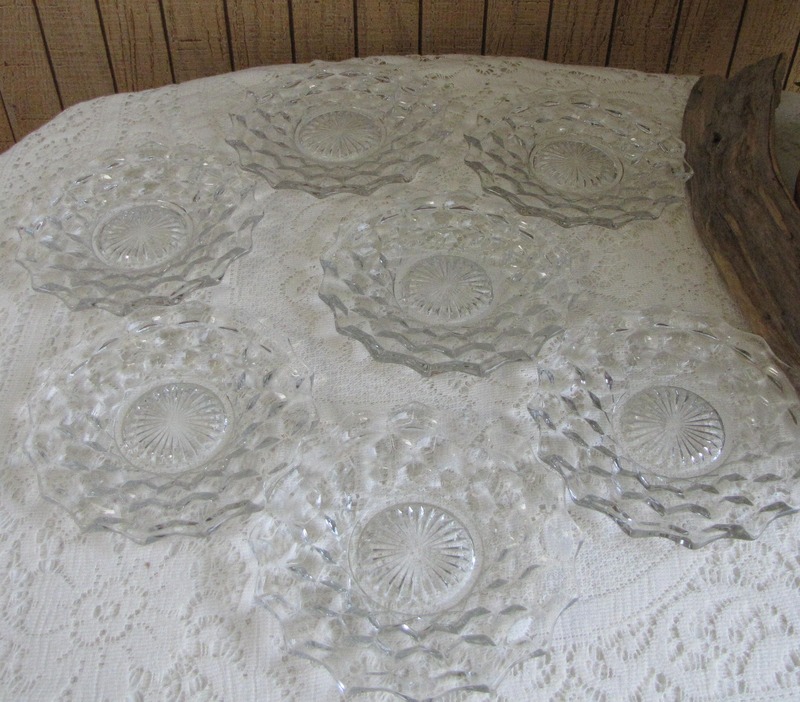 They began in Fostoria, Ohio in 1887 and moved to Moundsville, West Virginia in 1891. 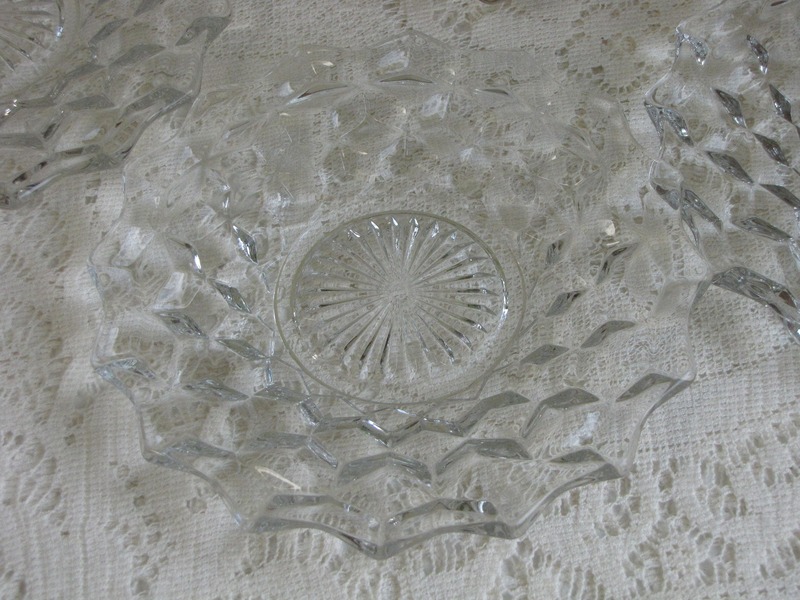 This American pattern was introduced in 1915 and is considered their bestselling pattern. 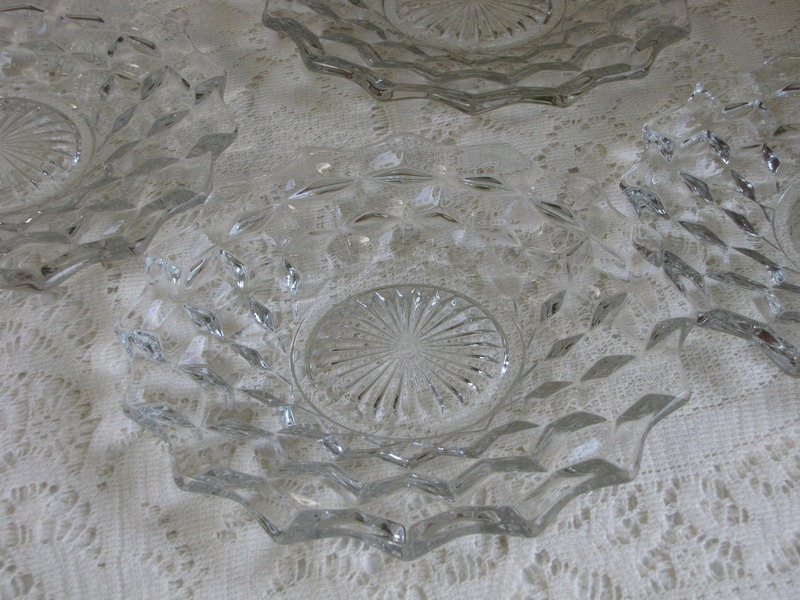 I found the pattern in the Fostoria Glass Company Catalog in January 1936.